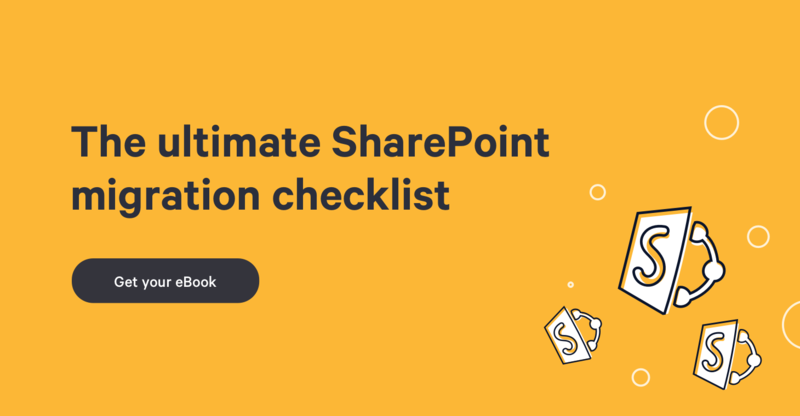 **UPDATED ON FEB 7TH 2015** Since migrating to SharePoint 2010 is probably not very useful these days, why not move straight from 2007 to SharePoint 2013 or Office 365 with our SharePoint migration tool. You can try it for 15-day here, or review our full SharePoint migration features list here. We are already talking a lot about SharePoint 2013 everywhere, I open my RSS reader and all I see is 2013. But what surprises and reassures me at the same time is that there are more people on SharePoint 2007 than on 2010. I know! Whenever I am attending or speaking in SharePoint User Groups and/or conferences, I ask how many are still on 2007. There is often more than 50-60% of attendees who raise their hands. I'll cover the migration of SharePoint objects you may find. Let's start with Sites themselves. So there isn’t a whole lot of choice for you to look at. You can migrate the whole SharePoint site (we will see how in this post), or you can decide to go granular migrate only the content of the site, one by one. Although the ladder is my favorite method, it can be the longest. The advantage is in re-structuring everything while you migrate. Which is not a bad idea! **UPDATE**: Learn how to migrate to SharePoint 2013 here. There isn’t a million ways to do this unfortunately. If you want to migrate your sites over to SharePoint 2013, you will have to use the Database upgrade method. In a previous post, I talked about preparing your migration, you should start by getting familiar with the preparation that comes before. Basically we need to take the SharePoint 2007 Content Database that contains the sites you want to migrate over to SharePoint 2010 and attach it directly into your new SharePoint 2010 server. There is already a lot of information out there on how to do that so I won’t repeat here. But in short, Backup the database and restore it into SharePoint 2010’s SQL and run a command line to finish it off. My Sites were moved to SharePoint 2010 – now what? To be able to move our SharePoint 2007 sites to the right SharePoint 2010 Site Collection we had to first upgrade the sites to 2010. Now that they are in SharePoint 2010, we can move them around to our desired destination. Now the possibilities are great, we can use the Backup-Restore or Export-Import commands in PowerShell also available in the Central Administration under Granular Backup. There are also codeplex scripts like this one that will do the commands for you with a graphical interface if you are not a big fan of command lines like me. One less used is a tool that comes with the Central Administration of SharePoint I find many people forget about, the Content Deployment under General Application Settings. Ok, it sounds easy, and it’s going to take 5 min but chances are it will be a little more complicated than that. Your sites were migrated from SharePoint 2007 to 2010, yes. And with simple backup-restores or scripts you will be able to move them around to the right Web Application or Site Collection, yes. So yes, it can be very easy if you have been using the bare minimum of SharePoint in 2007 but it can be quite a pain too. Leave your comments if you have questions I’ll try to answer them as soon as possible.